We are in need of unity in the church in America today. Our society is dealing with many issues that can divide us. These authors use scripture and other great authors' quotes, along with their own wisdom to teach us about ourselves and our identity, which is at the heart of the issue. Tucker and Koessler are exploring more than simple quick fixes, they are pursuing culture change. Be ready to open your mind to new possibilities. 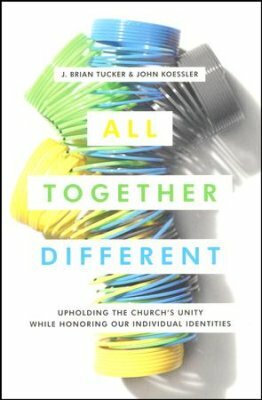 This is an excellent book on unity in the church, especially useful for pastors and church leaders, but also beneficial to the average church member. Questions for reflection at the end of each chapter can prompt you to begin thinking about these ideas of identity and culture. facilitate conversation and help you implement the information you are reading into your life and church. Besides personal study, these questions can start healthy discussion for small groups, church staff meetings or Christian book clubs. There is a glossary in back of book to help define some of the terms used through out the book. A copy of this book was provided by Moody Publishers for the purpose of review.